In 1968, the society learned that the Victorian residence of N.L. Spanne was slated for demolition. 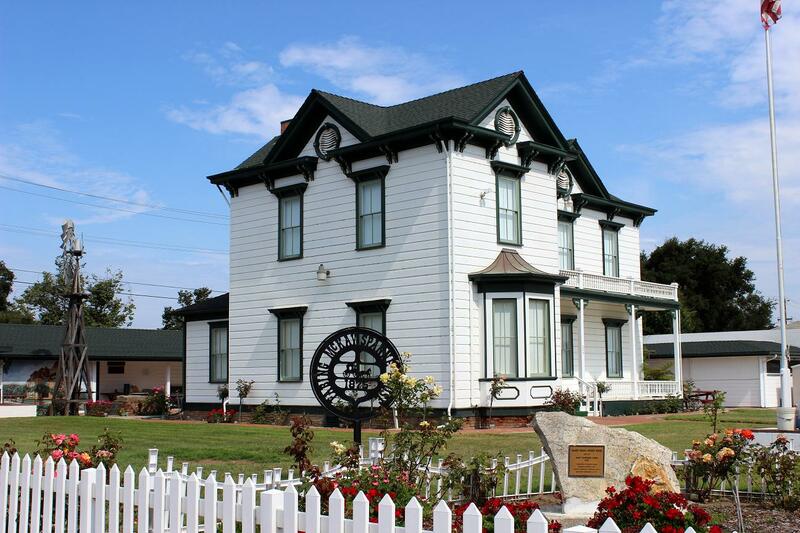 The home, constructed in 1875, was the first two story wooden residence built in the newly founded town of Lompoc. Directors of the Historical Society voted to purchase the property for $15,000 and negotiated a 10 year loan, which was paid in 8 years. The home was named the Fabing-McKay-Spanne House after the three families who had lived in it. Since that time, the home has been fully renovated and furnished in true Victorian style. Although the home is not the typical "painted lady" style Victorian, it has elements typical of the period. There is no fancy gingerbread, turrets or stained glass. This was a Victorian "farmhouse" built for a working family. The home was built by Henry Wadsworth Fabing less than a year after the founding of the town of Lompoc. Nicknamed "Fabing's Folly" by the townspeople, the home loomed forth in the midst of vacant land. Until the home was built, there were no permanent residences to speak of in the Lompoc Valley. Local residences soon began sharing Mr. Fabing's faith in the valley and followed his lead by constructing permanent, substantial housing. Mr. Fabing had never completed the upstairs of the home. It was left as one big vacant room with only a ladder to access it and the rooftop cupola from the first floor. In 1902, the Fabings sold the home to W.S. McKay, who had 6 daughters. It was necessary to complete the upstairs, so the McKays created three bedrooms and installed an elegant stairway which winds to the second floor from just inside the front entrance. In 1910, the McKays sold the property to Nis and Karen Spanne. The Spannes lived in the house until Mrs. Spanne's death in 1966. Henry Wadsworth Fabing was born in Ormersviller, France in 1833. His wife, Amanda (Angle) Fabing, was born in Coleville, New York in 1841. Mr. Fabing was a Blacksmith among many other things. Henry Fabing came to California from Wisconsin. Mr. Fabing moved from Santa Clara to Lompoc, arriving in Lompoc on April 10, 1875. Fabing was the first foreman of the Lompoc Volunteer Fire Department, 1875. The Fabing's built the house in 1875 and owned it until 1902. Henry Fabing died in 1908 in Lompoc. Amanda Fabing died in 1919 in Santa Barbara. William McKay was born in Ireland in 1837; Sarah (Kimball) McKay was born in Michigan in 1854. The McKay's bought the house from the Fabing family in 1902. William McKay died in 1903 & Sarah in 1920. Nis Lauritzen Spanne & his wife Karen (Andersen) Spanne were from Denmark. They bought the house from the McKay family in 1910. The house was in the Spanne family for 56 years. Nis Spanne died in 1961 and Karen died in 1966. The Fabing-McKay Spanne House is open to the public on the fourth Saturday of the month from 10 a.m to 1 p.m. Also open on Mondays and Thursdays from 8:30am to 11:00am except major holidays. However, following Thanksgiving there are special dates and hours through the end of the year. Usually closed the last 2 weeks of December. Special tours are accommodated by prior arrangement by calling (805) 735-4626 and leaving a brief message. We do not charge admission. We do ask for a donation to assist us with the upkeep of the property.